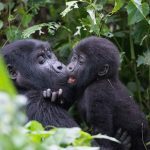 Top 3 Reasons why Use a GPS For Self Drive Safari in Uganda? When you use a GPS, never get worried of getting lost. A GPS with updated road maps gives you accurate direction about where you are going as well as estimated time of arrival. If you are with in a city, a GPS help you connect to the main highway, trace attractions around, restaurants, petrol stations and many others. You only need to type the destination you want to visit and the GPS will give you possible routes including shortcuts. A GPS is so easy to use, just like a smart phone with user friendly interface. Just stamp it to your wind screen or on dashboard and plug it into power/charge. 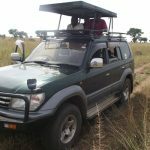 Hiring a GPS is much cheaper than hiring a driver for your planned safari in Uganda. A GPS is hired at US$5 and a driver is paid US$30 – US$50 per day. In that way, you save big on using a GPS than local guide/driver.